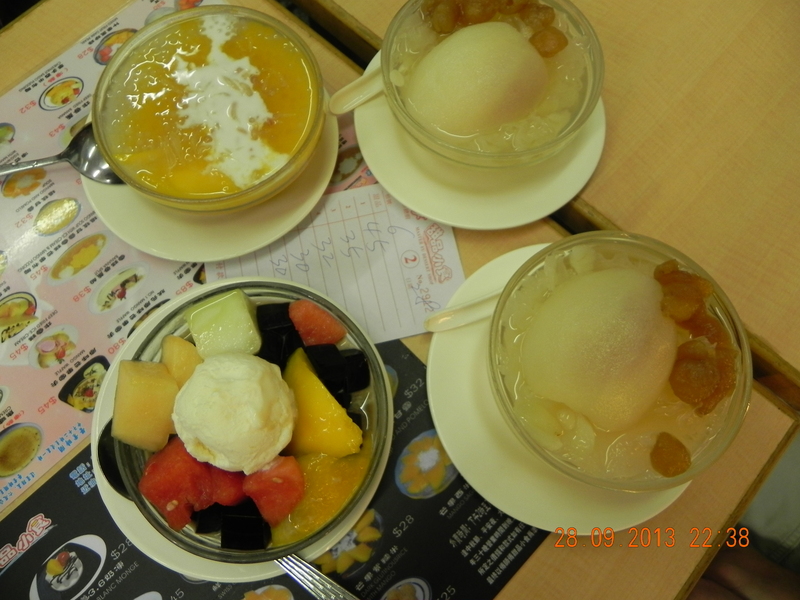 this my second time after an enjoyable dinner at Keung Kee 强记鸡粥 on 10.5.2013. we had 5pax this time so we ordered a bit more food. 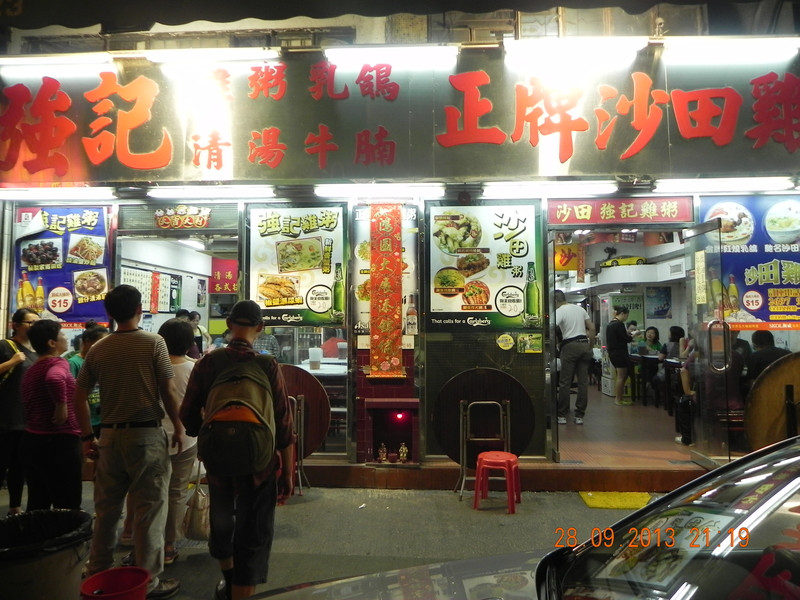 the dishes were cheap & good as before. 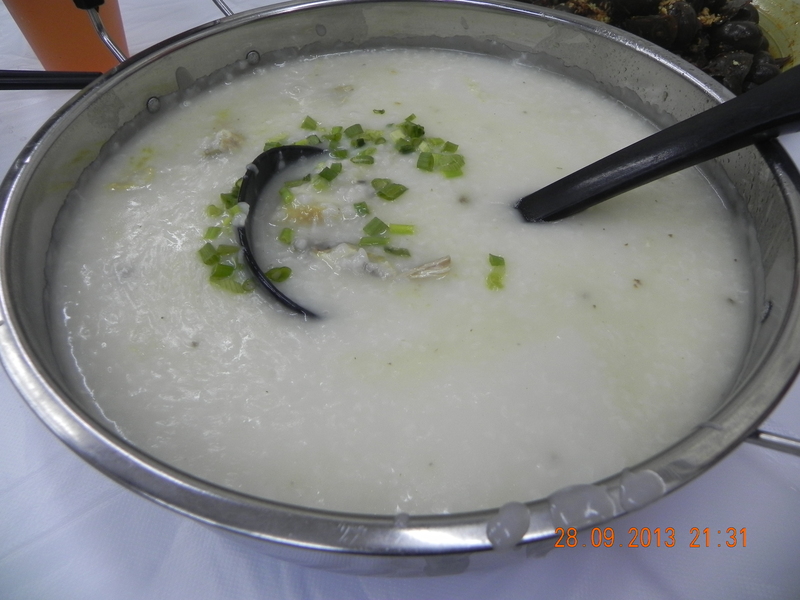 the signature chicken porridge was very sweet, tasty porridge & lots of chicken. 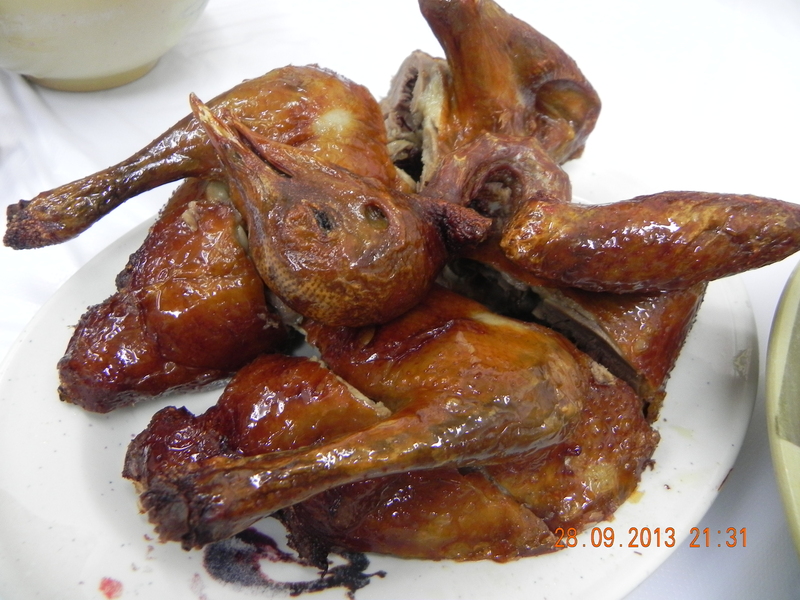 roast pigeon was good but not my favourite. skin was very crisp. meat was well cooked & not juicy. 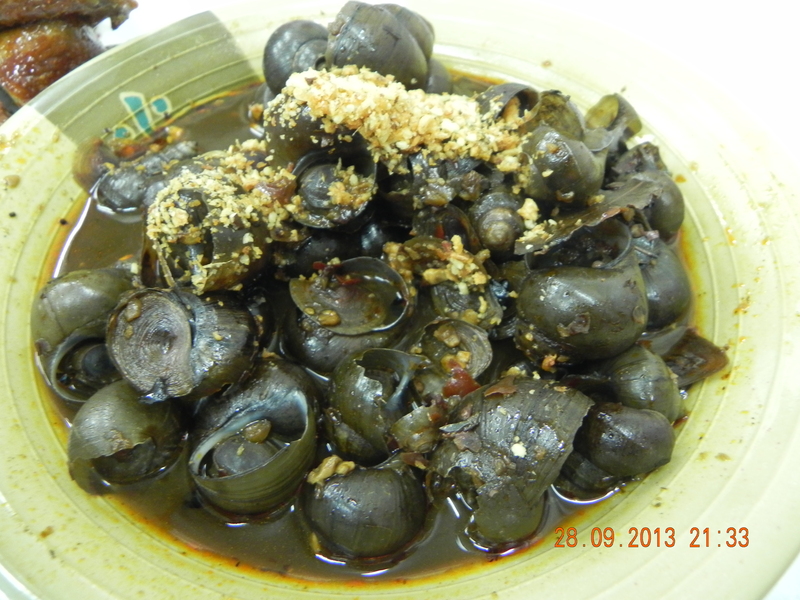 we also ordered the spicy 田螺 – very nicely done though not my favourite shell fish. 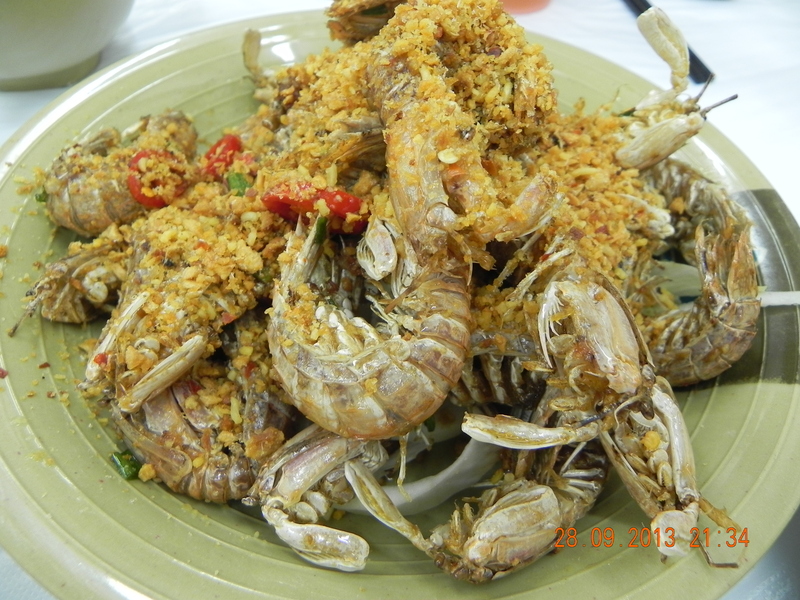 i enjoyed the small mantis prawns in salt & pepper 椒盐濑尿虾 a lot this time (top photo) – last time it was just ok. the meat was sweet & tasty though the prawns being small were harder to eat, of course if it were larger mantis prawns it would be even better. 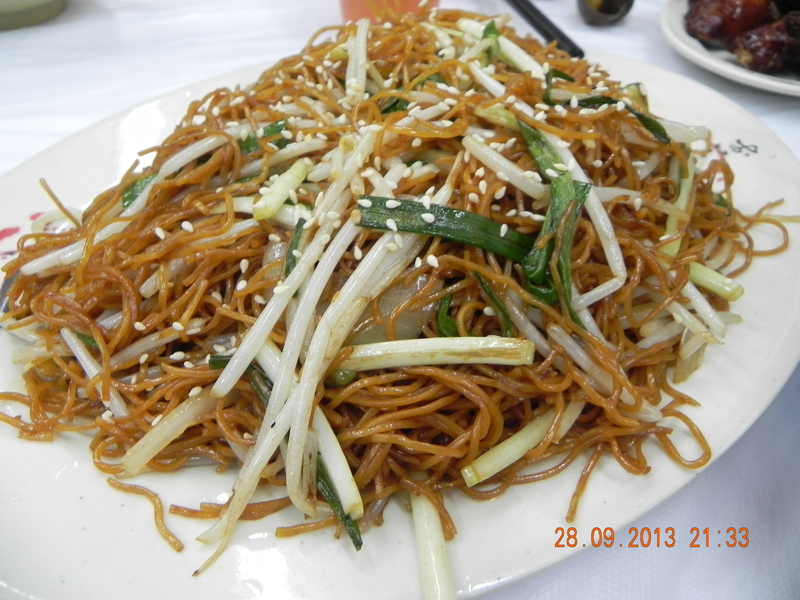 this dish only HK$90 c/w HK$500 for 2 large ones at Rainbow Restaurant on Lamma Isalnd. 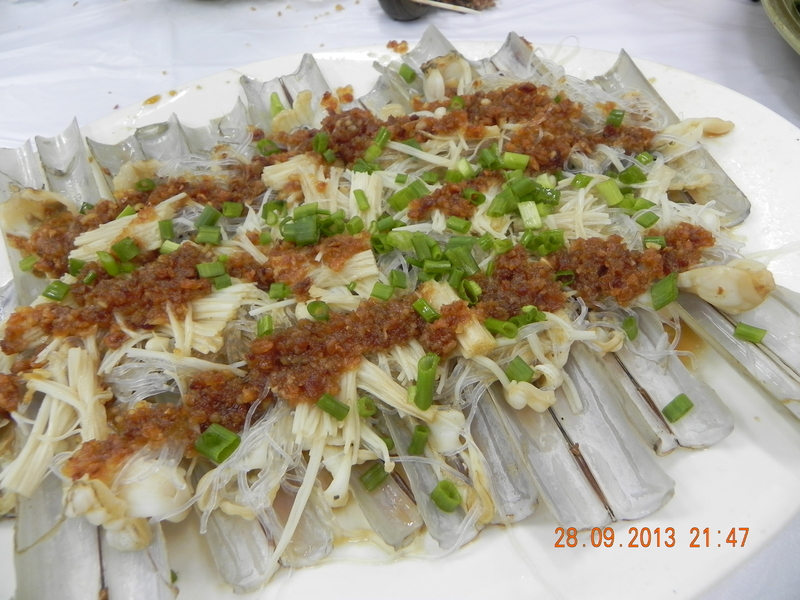 the razor clams were also nicely done & went very well when spooned with the minced garlic, tanhoon & light soy sauce – just HK$80, even though the flesh is nowhere c/w plump & succulent large ones. so far in HK, we had not had the same excellent razor clams that we had commonly in any singapore seafood restaurants, probably because we didn’t know where to go to have them. btw, i also did a good steamed razor clam in garlic oil myself. 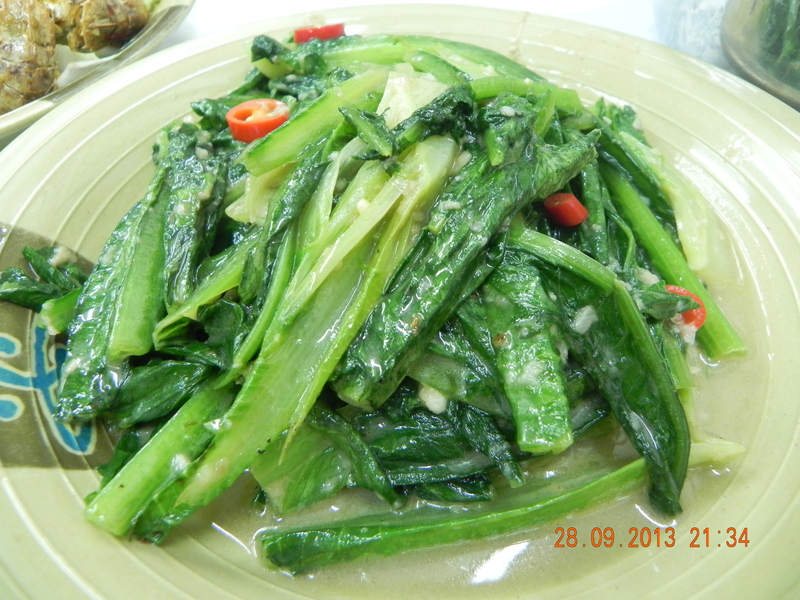 the romaine lettuce with fermented beancurd was a crowd favourite, wok hae & all. something i can target to get my own version up to. 🙂 1 friend wanted the fried noodles. it was ok but nothing to write about. This entry was posted in Buon Appetito! 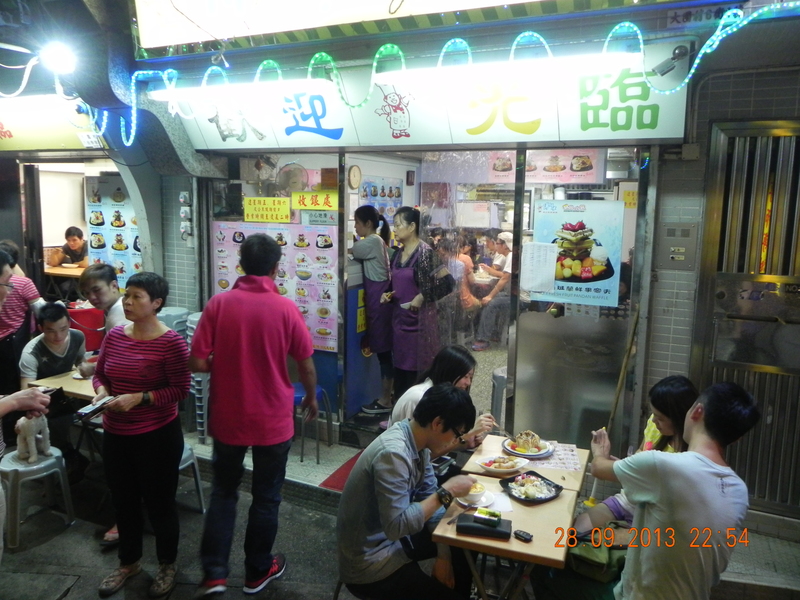 and tagged chicken porridge, 田螺, Keung Kee, mantis prawns, razor clams, romaine lettice, tai pai tong, tai wai. Bookmark the permalink.